Download the Bay Harbor Golf Club mobile app to enhance your experience. Mobile apps contain many features like scorecard, GPS, tee times, news, deals and more! Click on the icons for more information and free download. With its breathtaking location on the bluffs above Lake Michigan, Bay Harbor's three Arthur Hills-designed 9-hole courses take players from one extreme to another. Flowing seamlessly along sweeping shoreline bluffs, rugged rock formations, natural dunes and lush woodlands, each Bay Harbor course has its own distinctive personality. 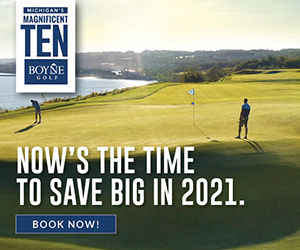 Whether golfers choose to play The Links and The Quarry (named by GolfWeek among Michigan's Best Courses you can Play), The Quarry and the Preserve, The Preserve and The Links, or the challenge of Arthur's 27, the experience promises to test and reward every player, and every skill level. Taking its lead from the dramatic courses that hug Ireland's North Atlantic coastline, The Links is situated on the beautiful Lake Michigan shore, with miles of uninterrupted views up and down the lakefront. Accented by towering bluffs and windblown dunes, this 9-hole course demonstrates Arthur Hills design at its finest, combining the course's unique topography with the native environment to achieve golf's greatest promise as both a sport - and a lifestyle. and approaches that hit their spots. Nestled into the hardwood forest that hugs the Lake Michigan shore, The Preserve is a members' favorite that's nothing short of a sanctuary. Designed by Arthur Hills, the course winds its way through a classic northern Michigan landscape, taking players through wildflowers, lush grass and native wetlands filled with an abundance of wildlife. The sounds of breaking waves are always within an earshot, and the course finishes in dramatic fashion with a spectacular par 3 situated right on the Lake Michigan shoreline. Resort lodging guests are required to reserve tee times at the time of booking your golf package. Non Resort Lodging guests (tee times only) can reserve tee times at anytime, either online or by calling our team of Vacation Planners. Golfers are encouraged to reserve tee times as early as possible for the best rates. 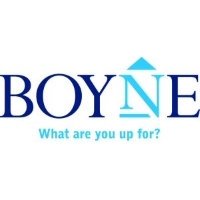 Bay Harbor Golf Club offers an unparalleled premier lifestyle experience and perhaps be the finest residential golf and yachting community in America. The Advisory Board and Members of Bay Harbor Golf Club would like to welcome you to learn more about opportunities for membership. For further information please contact the Membership Office at 231.526.3033. Contact Bay Harbor Golf Club at 855-839-2272 for more information and details on holding a golf outing at the course. What could be more romantic than a sunset ceremony on the shore of Little Traverse Bay - a reception under the stars, or indoors with a panoramic view of the moon and stars over Lake Michigan? We provide the setting, impeccable service, the opulent architecture, beautiful landscaping, and the catering your guests will always remember from northern Michigan. 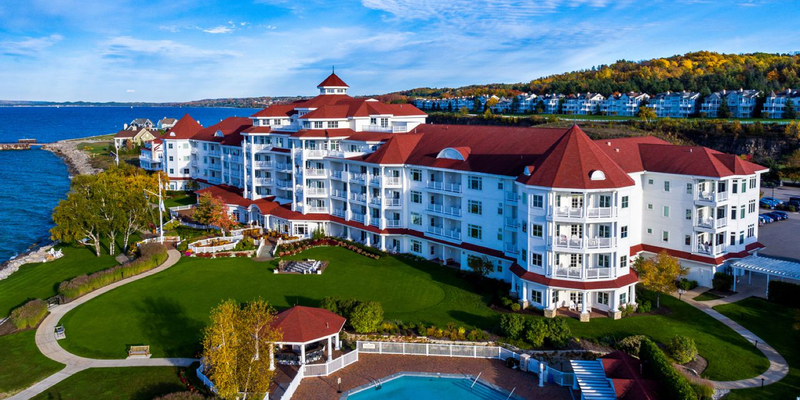 Our Marriott Certified Wedding Planners at The Inn at Bay Harbor will work out all the details so that you can fully enjoy this enchanted moment for a unique Bay Harbor wedding. Standing on the shore of Lake Michigan, the Inn at Bay Harbor- A Marriott Renaissance Golf and Spa Resort is a fresh, inspired destination, conceived in the spirit of the great turn-of-the-century lakeside hotels that defined the golden age of vacationing on Lake Michigan. Recognized by Travel + Leisure magazine as one of The World's Best Hotels, The Inn enchants guests with spectacular Lake Michigan views, a romantic ambience and Renaissance signature Savvy Service. 1-, 2- and 3-bedroom suites, designed with cottage-style elegance is ideal for a romantic retreat, girlfriends getaway or relaxing sanctuary from the everyday. The Inn at Bay Harbor offers four distinct dining options. Please your palate with a light breakfast or lunch at The Inn Cafe, your favorite cocktail at South American Grille and Wine Bar, or contemporary fare prepared by Chef Barbie Papi in Sagamore's Dining Room. During the summer, the Cabana Bar prepares classic poolside meals and tropical cocktails. Our luxurious full service day spa has earned the readers choice award for Best Massage by Spa Finder Magazine and Conde Nast Traveler's 2011 Spa Poll - "Top 100 Resort Spas in the US". Perhaps you just need to get away from it all for a few hours. Spend time with us for a relaxing and rejuvenating experience which will enable you to re-gain your focus. Please call The Spa at 231.439.4046 for more information and to make your reservation. This profile was last updated on 02/14/2018 and has been viewed 23,736 times.